Today's servers are primarily available in three forms: racks, blades and mainframes. The majority of IT teams turn to rack and blade servers to meet their server requirements. Some teams opt for mainframe computers to handle their workloads, although not nearly to the extent of rack and blade servers. 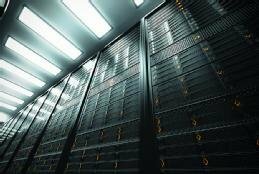 Rack, blade and mainframe servers all have their advantages and disadvantages, and buyers should carefully weigh these different types of server hardware before deciding on a product. Buyers do not need to limit their selection to any one type, however. Organizations can choose what's best for the workloads they need to support with an eye on budget and space constraints. A server's physical configuration is usually specific to the types of services it provides. For example, a database server might include more processing or memory resources to handle the influx of concurrent transactions. Many data centers also implement server virtualization to deliver services more efficiently. Server virtualization can help better utilize the server's physical resources, while also increasing flexibility and security and reducing energy consumption. Although servers add to the number of computers that an organization must support, they can also help consolidate resources; different types of server hardware make it possible to share printers, disk drives and applications with network users. Although users can share resources across peer-to-peer networks, a server is much better equipped to manage those resources and deliver them securely across the network, especially with a large number of users. Any organization that supports more than a handful of users can benefit from different types of server hardware. Rack servers take up a lot less space than tower servers because they're not encased in bulky cabinets and users can stack them in a single rack along with the other components. In addition, because providers have standardized the size of racks and rack servers, admins can easily add or replace servers if one should malfunction. The design also makes it simple to add components gradually to accommodate growing workloads. Best of all, the servers in the same rack don't have to be the same model or come from the same vendor. A blade server is a modular component -- blade -- that fits into a server chassis along with other blades. Each blade has its own processors, memory and integrated network controllers. The blade might also include a Fibre Channel host bus adapter, as well as other I/O ports. Blade servers offer more processing power in a smaller space than rack servers while providing a simplified cabling structure. Because blades are so tightly configured within the chassis, the chassis itself is sometimes referred to as the blade server and the individual blades are called modular motherboards or circuit boards even though they're servers in their own right. This is because the chassis provides consolidated resources such as power, cooling and networking, which are shared across all the blades within the chassis. Admins can also mount the chassis on a standard-size server rack. In addition, the blades and chassis components are hot-swappable, including the cooling system, controllers and switches. Plus, because of the chassis structure, cabling is simpler when compared to the rack server. The blade system also provides a centralized management console to control and monitor the system's components. A mainframe server is an extremely powerful computer; it's about the size of a large refrigerator. Unlike its predecessors, which could take up an entire room, today's mainframes are much more compact and powerful and include sophisticated encryption capabilities, as well as multiple layers of redundancy. Mainframes are still much bigger and bulkier than rack or blade servers, as well as a lot more expensive. However, mainframes are also much more powerful and reliable than anything else out there. In addition to its massive transaction processing capabilities, a mainframe is extremely configurable, supports dynamic reconfigurations and provides hot-swappable hardware components. A mainframe normally runs its own OS, such as IBM's z/OS, but recent models also support Linux, running on bare metal or in virtual machines, considerably increasing the mainframe's capabilities. However, a mainframe's high price tag also means that it's not a system for organizations that are simply testing the waters or implementing types of server hardware incrementally. A mainframe might be more cost-effective in the long term depending on the supported workloads, but the initial capital outlay could be too much for many businesses. Mainframes also require skilled technicians to implement and operate -- a type of admin getting harder to find as much of the attention turns to rack and blade servers. For many organizations, a mainframe comes with a learning curve that might be too steep to take on. Find the right server hardware for your data center by evaluating what leading vendors offer in terms of processors, memory, storage, connectivity, hot swapping and security features. There is no shortage of server options available on the market today. Discover the leading vendors in these in-depth overviews of the blade, rack and mainframe computers available. IBM Power Servers iSeries (Midrange computers) running OS/400 LPARED hosting AIX, Linux & Windows. Can be LPARED without hosting also. Some HCI allow different node specs (and even different processor generations) in the same cluster.